When two renowned German names get together good things happen. Every now and then the interior of a particular luxury car is described as being as sumptuous as a living room on wheels. 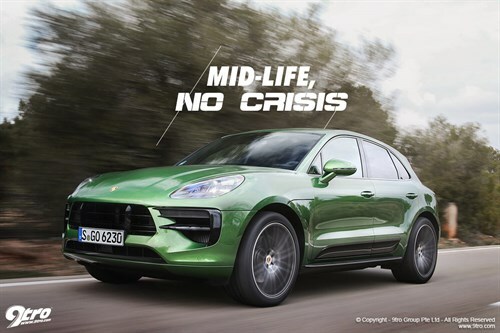 While this statement is clearly pure hyperbole, the TechArt Cayenne with interior by Rolf Benz actually manages to introduce a true home element into the mix. While most car enthusiasts are aware of TechArt’s place as one of Germany’s premier Porsche tuners, the business started out in 1987 specialising in bespoke interiors for prestige marques like BMW, Ferrari, Mercedes-Benz, and Porsche. 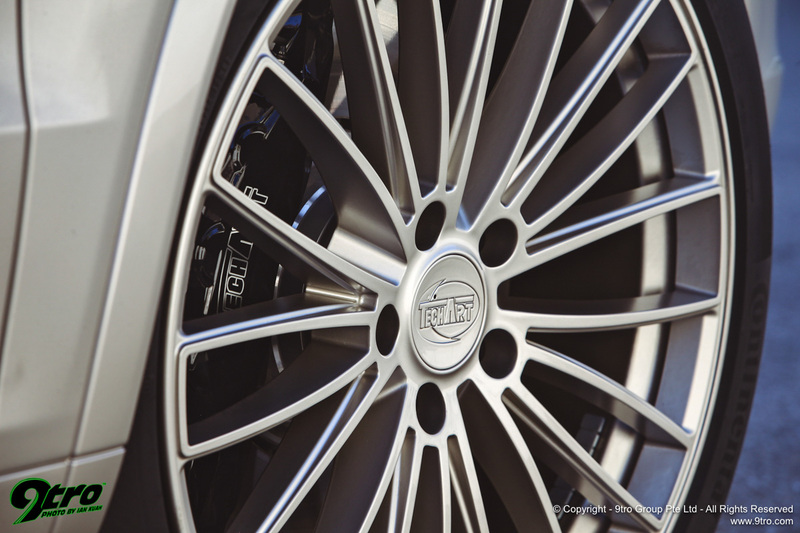 However, customer demand soon led to the creation of an alloy wheel, uprated suspension, and body styling programme for Porsche cars, with an engine tuning programme added three years later. Rolf Benz is a well-known German home furniture manufacturer founded in 1964, by the man with his name over the door. From day one his mission was to design and make the world’s most comfortable and relaxing sofas with an added touch of soul. Today, over half a Century later, the uniquely designed Rolf Benz sofas, along with chairs and tables are sold in over 50 countries around the world. What both companies have in common is a passion for distinctively designed, handcrafted, and relatively low volume products that express the kind of individuality sought by customers who appreciate fine materials that both look and feel good. Porsche Macan Facelift - Mid-Life, No Crisis11 Dec 2018The face-lifted Macan is still the one to beat. 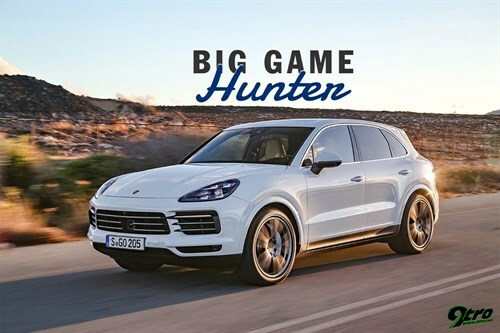 Porsche Cayenne E3 - Big Game Hunter30 Oct 2017The third generation Cayenne leaves its competition in the dust. The idea that the two companies might collaborate was born when TechArt’s joint Managing Directors, Tobias Beyer and Steven Ratz spoke with members of the Rolf Benz management team at the IMM International Furniture and Interiors Fair in Cologne in January 2018. This initial exchange of ideas led to a team from Rolf Benz including Bettina Hermann, the head of product and design management, visiting the TechArt stand at the Geneva Show a few weeks later. 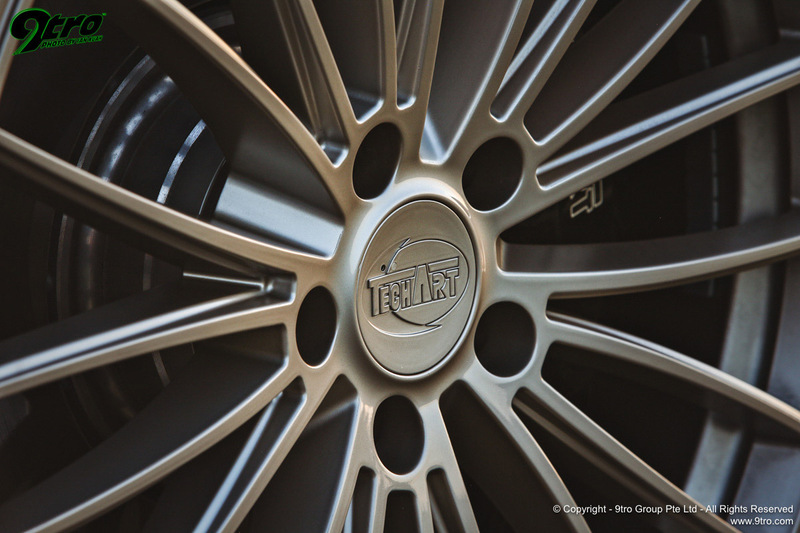 This enabled them to see for themselves the level and quality of personalisation that TechArt and other premier tuners incorporate into client cars. 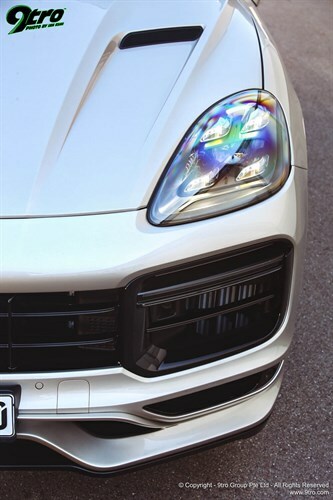 Because the Cayenne is one of Porsche’s best selling models TechArt had to come up with design cues to make the Rolf Benz Edition instantly stand out in a subtle and classy way. It had to literally be haute couture on wheels. The one major area where the materials used by home furnishings and vehicle interiors diverge and so need to be different is in their respective operating environments. A building has fairly stable temperatures; especially if it is air-conditioned, with humidity only varying significantly across the seasons with the windows open. 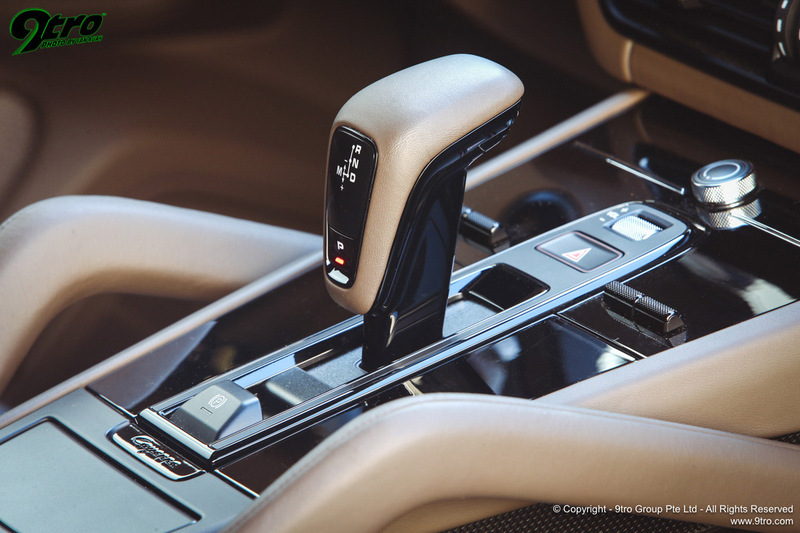 A car interior on the other hand can experience steep and frequent changes in humidity in summer and winter, and temperatures from -20°C in a Scandinavian winter to over 40°C in the Middle East. 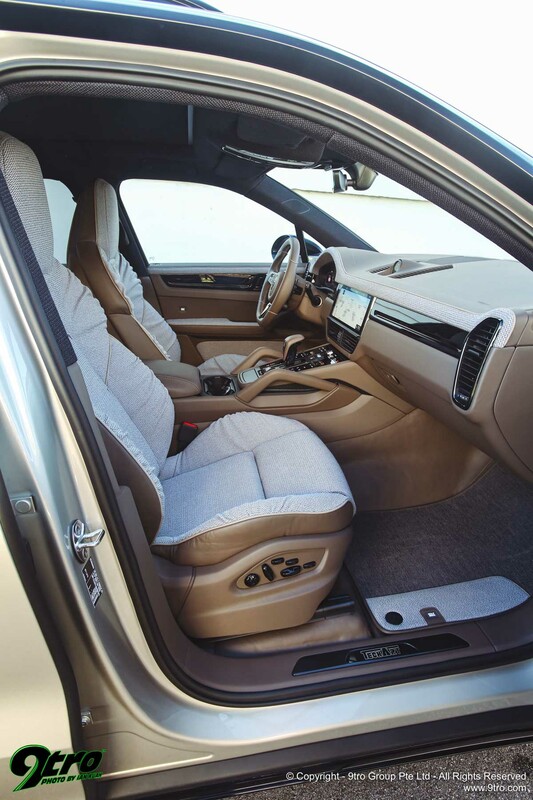 In fact a cars interior will get even hotter when it is left standing in the sun with the windows closed, while even in temperate climates the interior trim on the seats, dashboard and other panels is subjected to degradation by direct sunlight. TechArt has over three decades of experience in this field so they are familiar with the materials durable enough to survive in the harsh environment of a car, and how best to apply them. 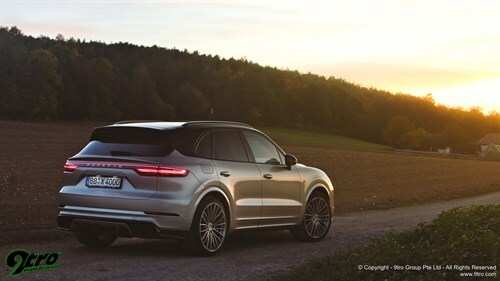 The materials that Rolf Benz and TechArt agreed would work best while adding a “wow” factor to the Cayenne’s interior ambience combine automotive grade soft Nappa leather and natural virgin wool in worsted yarn quality, the latter a Rolf Benz trademark upholstery fabric. The colour scheme chosen for the interior uses a colour palette centred on warm beige and brown tones. Weighing around 870 grams per linear metre the wool fabric is woven with three different shades of umbra, blue and cappuccino and is hard wearing, breathable and dirt resistant. It has richness and depth to its appearance, as well as softness to the touch that draws you in and makes you want to examine its exquisite details before you even think of turning the key in the ignition and driving away. It is a given that the leather and fabric used in car interiors is stretched tautly over a seat frame or door panel. Manufacturers like Maserati have tried using ruffled leather before. However, if it is badly executed the ruffled look makes it appear that the upholsterer lacked the requisite skill set. While the virgin wool used here is more forgiving when used loosely on the seat side bolsters, TechArt’s master craftsmen have applied just the right amount of stretch, nip and tuck to get the material looking just right. Incidentally, the inspiration for this look comes from the Rolf Benz 641 seat, which was introduced with their 2017 collection. This virgin wool is also used in a more conventional way on the seat inserts, the dashboard inlay panel, and the armrest and capping on each door. 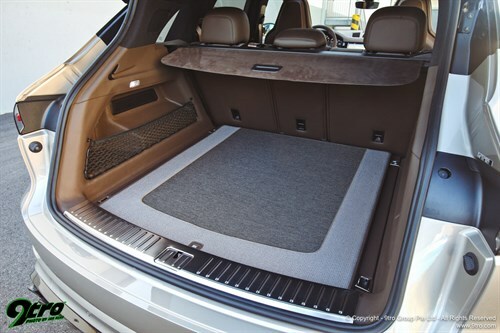 It is also featured on the soft rear seat throw cushions and roll blanket. All other surfaces are covered in cognac coloured leather, which even extends into the foot wells. Bespoke floor mats and boot carpet mat made up using the colour combination from the seats and leather trim are nice finishing touches, as is the leather and fabric wallet for the car’s handbook, even though this lives in the glove box. 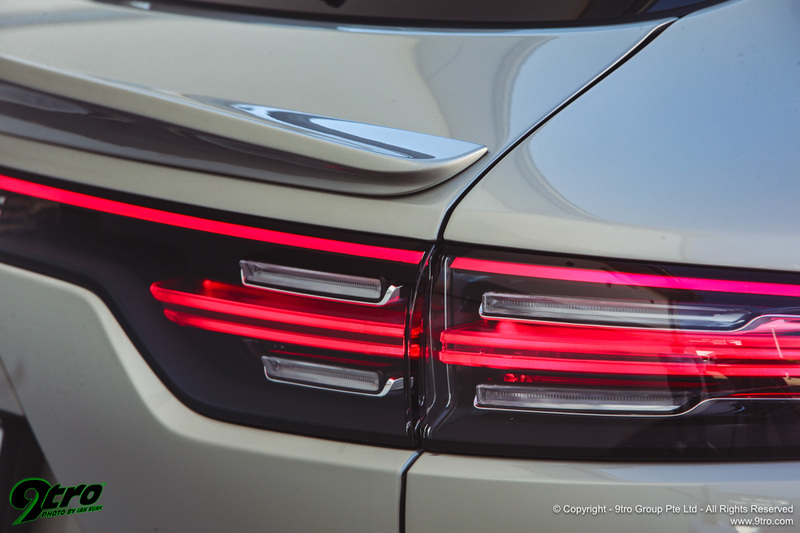 These each carry a Rolf Benz logo, which appears next to the TechArt logo in the doorsill entry plates. 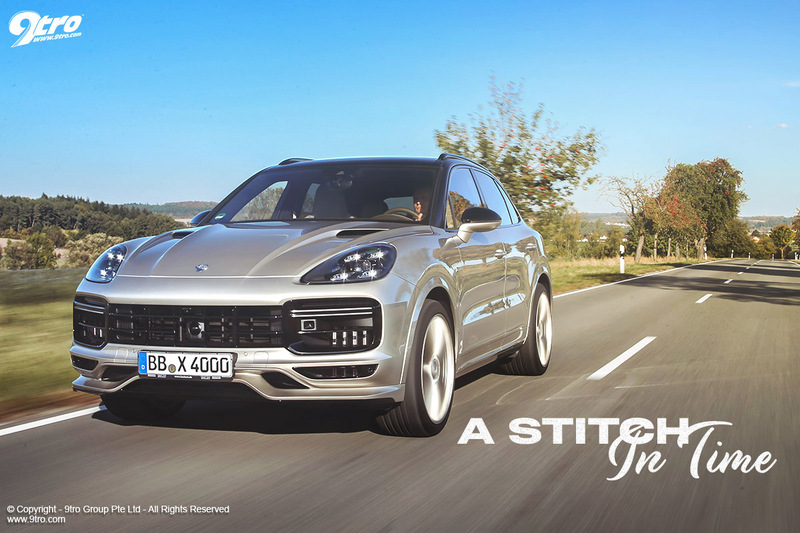 The interior of the TechArt Cayenne Rolf Benz Edition contains 44 sq. m of Virgin wool upholstery fabric in Worsted yarn quality applied with fourfold twisted threads, and 40 sq. m of natural full grain Nappa leather. Creating this very special interior requires 300 man-hours of painstaking work by specialist craftsmen. The result is a warm and welcoming environment that draws you in and then continues to deliver surprise and delight as you slow your breathing, relax, and take the time to enjoy its thoughtful design. 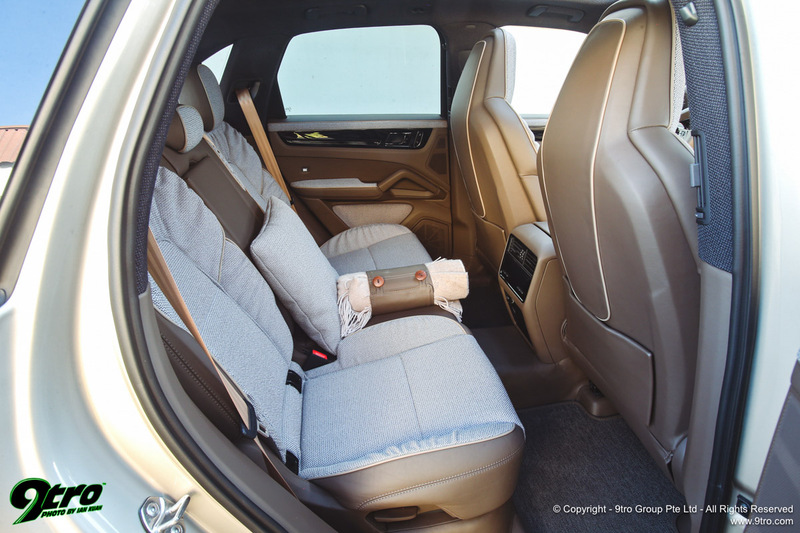 The wool seat covers deliver a completely different feel from the firm and cold leather that is the de facto seat covering material in today’s luxury cars. The image of a comfortable sofa at home comes to mind, but then that was the intention all along. Take a few steps back from the car and it is clear that the interior perfectly complements the custom painted two-tone champagne metallic bodywork, chosen for its ability to cover a broad spectrum of colours from platinum to gold and silver. 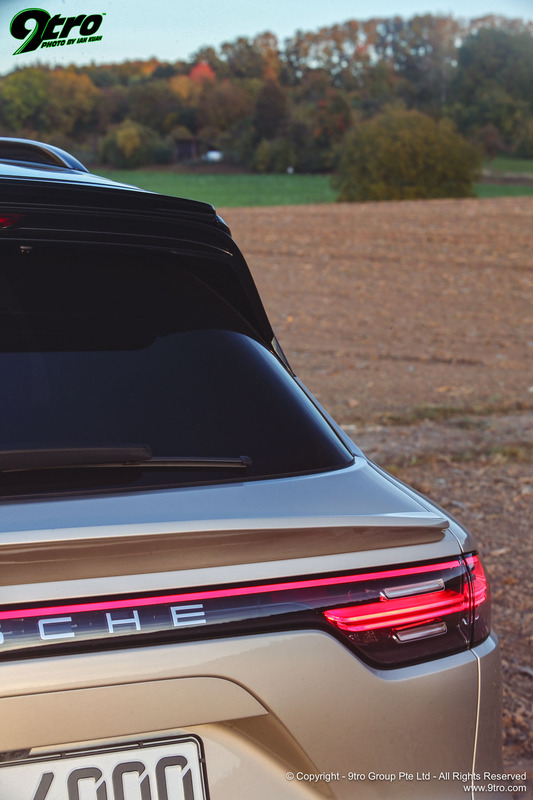 In stark contrast, the roof is finished in gloss black, which visually merges with the tinted glass to break up the visual mass of this full-size SUV. 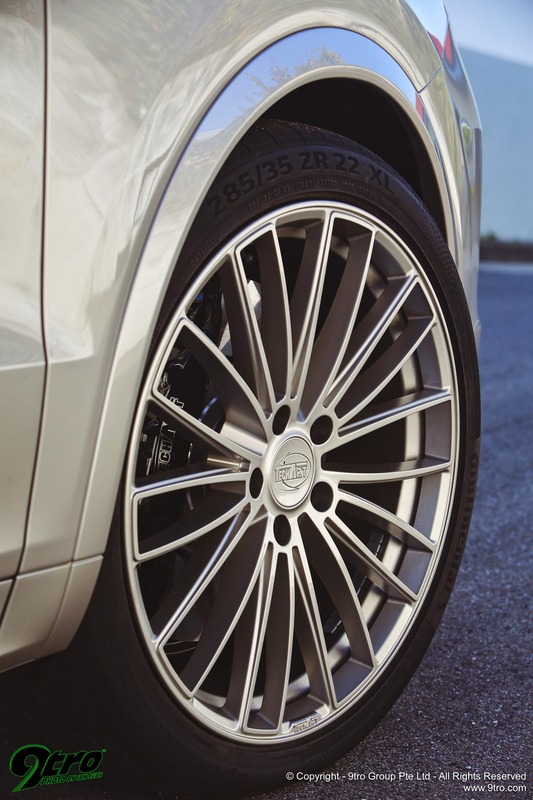 The 22-inch wheels that fill out the Cayenne’s cavernous wheel arches also go towards achieving the cars lighter, more compact appearance. These big 10.5J x 22-inch diameter TechArt Formula V alloy wheels are colour coded to the cars bodywork and wrapped in 285/35ZR22 Continental SportContact 6 tyres. 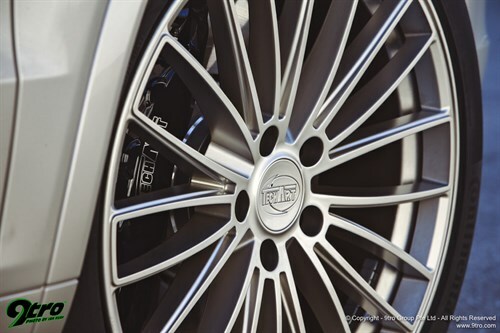 A nice touch, but one that can only be seen up close is the high gloss finish on the outer face of the wheel, which subtly contrasts with the matt finish on the inner rim and sides of the spokes. 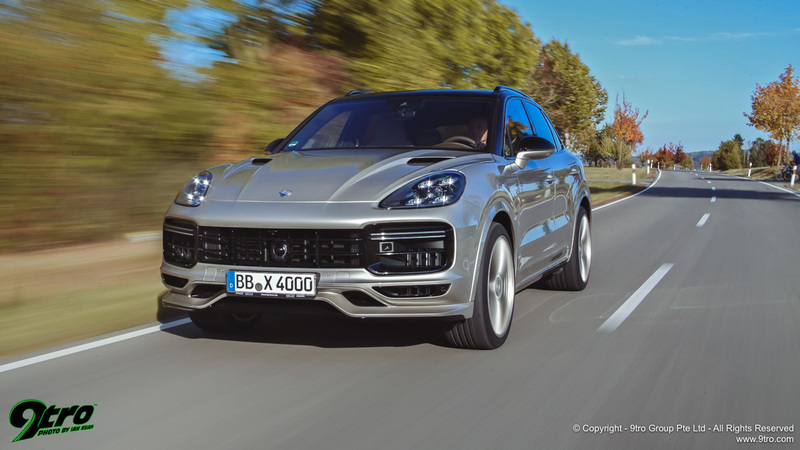 While TechArt sold hundreds of their extrovert wide-body Magnum conversions to owners of the first and second generations of Cayenne, owners of the latest model largely seem to prefer a lower key approach. Thus the relatively subtle aerodynamic additions that make up TechArt’s current body styling programme are wholly appropriate to the Rolf Benz edition. The six-piece aero kit that helps to reduce lift at speed starts with a front spoiler colour-coded to the bodywork. The air splitter mounted below this spans the width of the car, but as it is finished in black its presence is not immediately apparent from a distance. The largest single component is the carbon-fibre bonnet. Apart from removing considerable weight from the nose this features a pair of air scoops for ducting ram air into the engine bay. 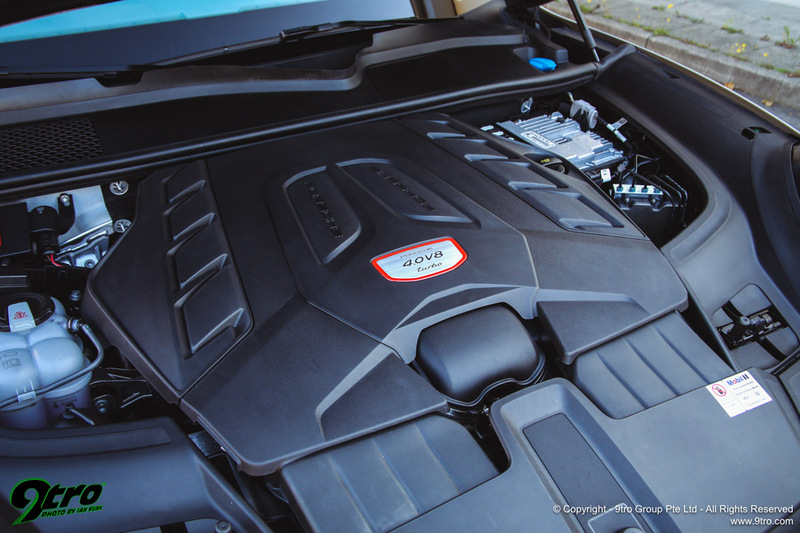 This helps to remove the considerable heat produced by the two turbochargers nestled between the cylinder heads of the 4.0 litre V8 motor. 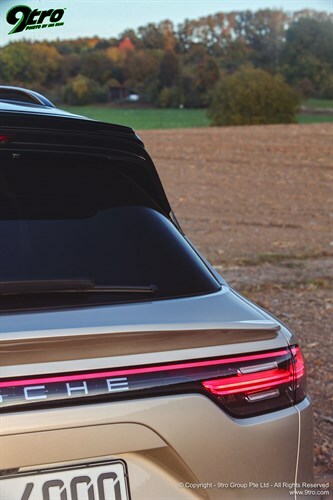 Moving aft a colour-coded spoiler is added to the tailgate just above the rear light strip, while the active trailing edge of the factory rooftop spoiler receives a small Gurney flap to increase its effect in all positions. The final component is a rear valance with integrated diffusor that neatly frames the four carbon-fibre outlet tips of the sports exhaust. While the factory output of 550hp between 5,750 and 6,000rpm and 770Nm of torque between 1,960 and 4,500rpm may well be enough for most people, TechArt customers always like more power too. 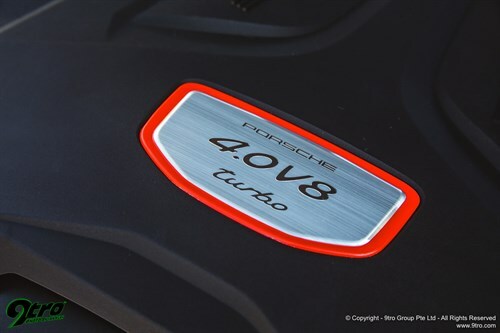 That means TechArt’s Powerkit for the 3,996cc bi-turbo V8 motor. The resulting 640hp and 900Nm of torque deliver a 3.7 sec 0-100km/h time and 300km/h top speed, numbers worthy of a junior league supercar. 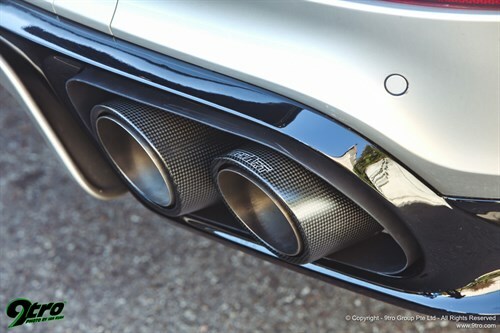 This makes the TechArt Cayenne Rolf Benz Edition one very fast living room on wheels!